The Average person takes 10,000 steps per day! 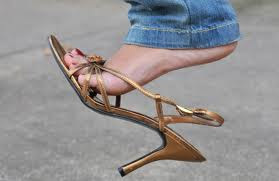 No wonder we have heel pain, bunions and hammertoes! If you think you’re above or below the average number of steps per day, then buy a pedometer to check it out! All those steps can lead to some pretty serious foot pain like plantar fasciitis, especially if you’re taking those steps in flip flops or walking on hard surfaces like concrete. If you’re experiencing foot pain from walking, running or just day-to-day activities, then call Advanced Podiatry at 813-875-0555. Our doctors have plenty of treatment options to help keep you stepping pain-free every day! Ever Wonder Why People Seem To Commonly Get Broken Bones In The Foot?